Your landing pages: not always the first place a customer lands on your website, but the page they arrive at after clicking a call-to-action in an email, a blog post or on social media. They are the gateway standing between a customer and a piece of downloadable content or other conversion tool. Usually, they contain a snappy but pithy headline, some persuasive copy, attractive image and a form for your visitors to fill out. Seemingly, the most important part of the page is the form. This is what adds leads to your contact database, after all. But every part of a landing page is actually as crucial as the next. All of the elements have a job to do in encouraging people to input their details in return for whatever you’re offering. The entire landing page, then, is a lead generation tool and should be seen as such. Remember your goals: For example, to generate more qualified leads, increase conversions and ultimately increase sales and ROI. Every decision you make should focus on achieving these goals and optimising your landing pages for maximum results. Know your buyer personas: Understanding the wants, needs and values of your ideal customers will be critical to firstly creating the right content and secondly using the best messaging that really speaks to your target audience. Use "you" in your copy to make it personal. Keep it simple: Your landing pages should look clean, as well as not bombarding potential customers with too much information. Images, whitespace and bullet points are your friends. When it comes to your forms, include only the necessary fields as required; ask for more information in optional fields. Keep it beautiful: The more appealing your design and colour choices, the more likely people are to convert. Use complementary colours throughout, then use a contrasting colour for your call-to-actions to make them stand out. You have 5 seconds to get and hold their interest. Don’t make them scroll: All of the most important elements of your landing page CTA, form, key benefits and USPs — should be above the fold and visible on the page so you don’t lose your audience’s attention before they see them. The CTA should be the most prominent part. Landing pages that are linked to from blog posts, email and social should be optimised for SEO. Optimise by including the relevant keywords in your title, URL and copy. Include social share buttons to increase the reach of your landing pages, and don't forget alt tags for images. For PPC landing pages, no-index them so you know that everyone on that page is a PPC visitor and you can conduct split tests. This way, you can change elements of your pages to see what works and use the best conversion copy and tactics for your indexed landing pages. This makes it a lot easier to measure the impact of settings on your performance, without affecting the SEO of your organic landing pages. Measuring the success of your landing pages in HubSpot is simple. From the Content drop down, select Landing Pages, then click on the Analyse tab. In the Submissions tab, you will see list of your landing pages with Views, Submissions and Rate columns. Submissions refers to how many people that viewed the page went on to submit the form. Rate stands for conversion rate, and this is one of your most important metrics when it comes to optimisation, because it defines how successful your landing page is at converting your visitors into leads. To be within the top 10% across industries, you’ll need to target consistent landing page conversion rates of 11.45% or higher. If your conversion rates are lower than this, you need to do more experimentation and analysis, and replicate the best practice tactics of your best performing landing pages. 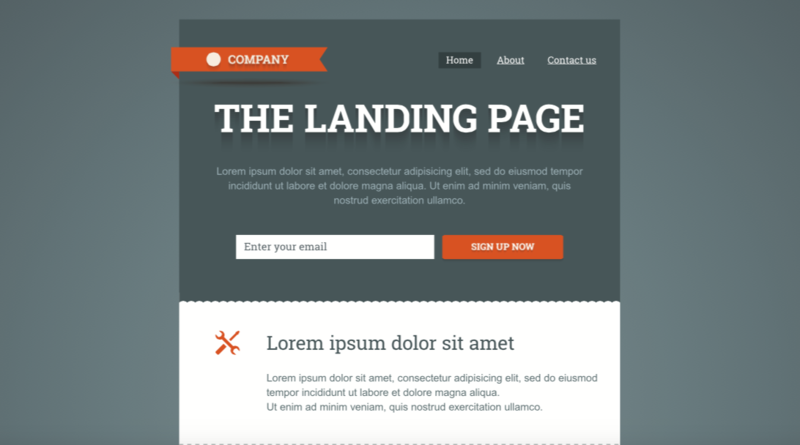 If the views on a specific landing page are low, consider the reasons why. Do you need to direct more traffic sources to it? Is your blog post or email doing all it can to convince people to click through? In the New contacts tab, there are Views, New contacts and Rate. New contacts are the people, from those who submitted the form, that weren’t previously part of your contact database. Rate stands for the conversion rate of views to new contacts. Finally, the Customers tab shows the number of new customers each landing page generated for your business, and the conversion rate of views to customers. For each tab, you can select the timeframe you want to analyse from this month, the previous month, the year to date, last year or a custom date range. You can view more detailed information about the performance of a landing page and learn about ways to further optimise it by clicking on the name of an individual published landing page in your list. You will be taken to the Performance tab by default. Here you will be able to toggle between Views, Submissions, New Contacts, and Customers. Toggling between the different metrics will determine what is displayed in the sources graph at the bottom of the Performance tab. The Optimisation tab gives you suggestions on how you can further optimise your current landing page. HubSpot analytics update every one to three hours. To see the last time that analytics updated, navigate to Reports > Sources, and look to the bottom of the left-hand side menu for the last updated stamp.